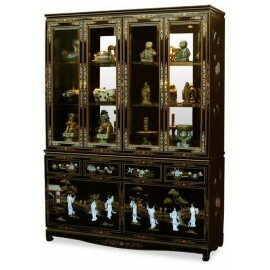 Showcases chinese There are 23 products. 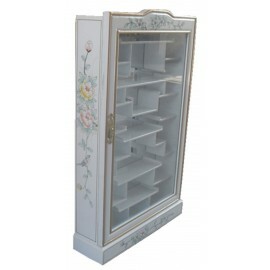 Great showcase silversmith lacquered chinese.EXCEPTIONAL OFFER on this showcase chinese white lacquer inlaid with mother-of-pearl with a light built in and equipped with shelves in glass.Dimensions: L237 x P45 x H214 cm. 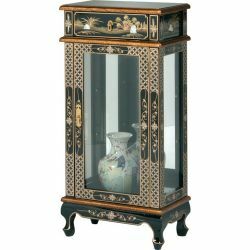 Showcase silversmith lacquered and inlaid mother-of-pearl.This furniture of China with a light built in is equipped with 4 glass shelves.Dimensions: L61 x P41 x H183 cm. 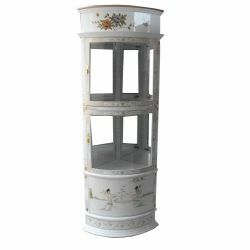 Dresser painted in China in two body with a light built in and equipped with 2 glass shelves.The bottom of the display case is equipped with a mirror on its surface.Dimensions: L152 x P48 x H205 cm. 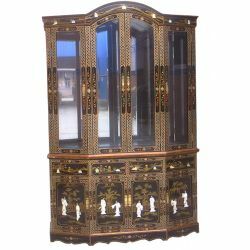 Showcase corner lacqueredDimensions: L48 " x D48 x H185 cm. 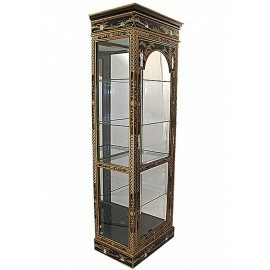 Showcase lacquered napoleonDimensions: L100 x P50 x H220 cm. 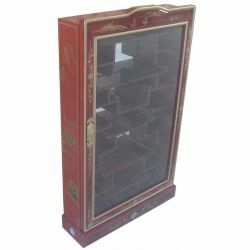 Showcase lacquered small model 1 doorDimensions: L48 x P30 x H100 cm. 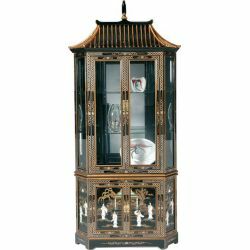 Showcase chinese lacquer with 2 points of light embedded in it.Dimensions: L94 x P36 x H182cmThe silversmith is equipped with 2 glass shelves with a thickness of 4mm. 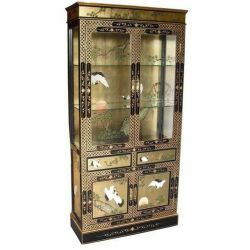 Showcase chinese lacquer with inlay of hard stonesDimensions: L94 x P46 x H180cm The drawers are covered in felt, closures, chinese are of brass.Dimensions: L102 x P36 x H198 cm. 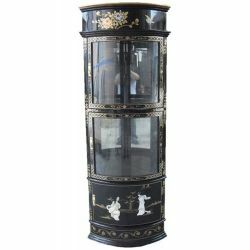 Showcase lacquered chinese with mirrors incorporated.This showcase of china has a light and is equipped with glass shelves.Dimensions: L137 x P45 x H210 cm.